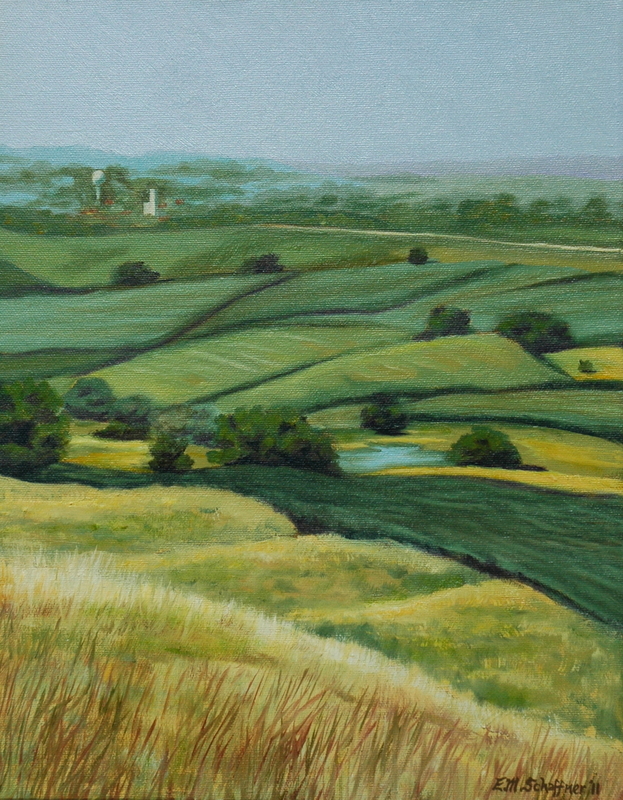 This 14" x 11" original oil painting features the breathtaking views of Northeast Iowa not far from Elkader, Iowa. These are the vistas I took for granted as a farm girl growing up in this area. Now as an adult and artist, I understand why Grant Wood was drawn to the landscapes of this region of Iowa! You too can own and admire the "quilted" fields of the midwest. This painting sells unframed with a painted edge but it can easily pop into a clip-on frame or look fabulous with the investment of professional framing.